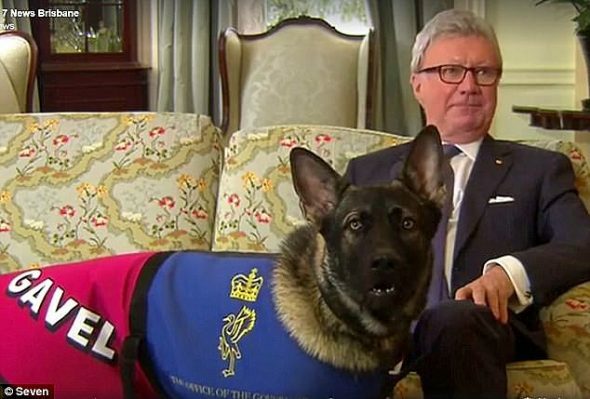 Gavel the German shepherd was being trained for life as a K-9 in Queensland, Australia, but he didn’t make the grade because he’s just too affable. So now he’s got a job greeting visitors at the governor’s house. 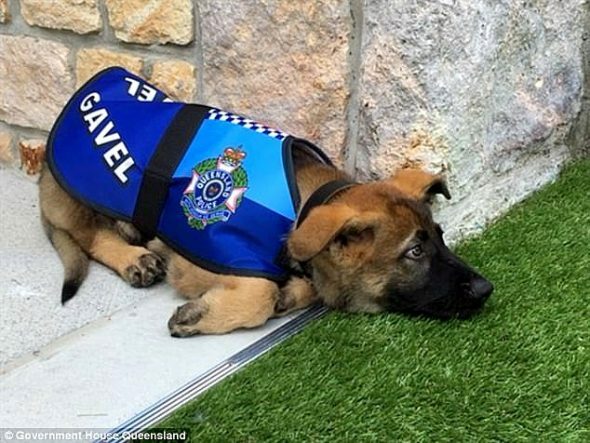 The propitious pup took part in a police dog training program at Queensland Government House last year, and trainers quickly realized that there was no bite in him. But the Governor Paul de Jersey’s staff took such a liking to him that they decided to keep him around. 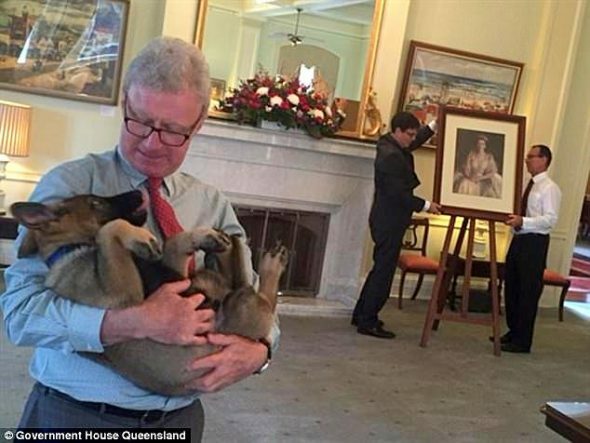 In February he was named the first official vice-regal dog of the territory, and must live up to the responsibilities of welcoming tourists, attending important functions with the governor and his wife, and giving cuddles to stressed out staffers. 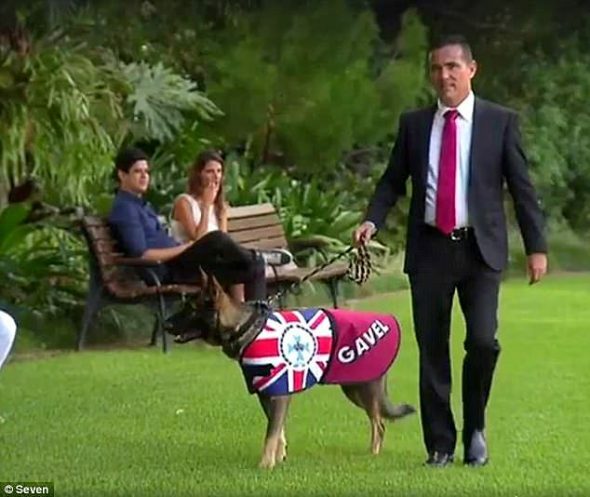 “Gavel on occasions sits in on briefings with the Governor,” a spokesman for the Office of the Governor told the Brisbane Times.